The sale of Eunosville to MCL Land for $765.78 million on June 1 brings the number of successful collective sales so far this year to four. The total collective sale value so far stands at $1.5 billion, compared with the total value of $1 billion for the three successful sales in 2016 and $380 million for the single sale of Thong Sia Building in 2015. With the collective sale market heating up, Edge Prop constructed a logit model to determine the probability that a condominium would be put up for collective sale. For the dependent y variable, “1” represents “success” and comprises 300 developments that have been put up for collective sale previously, whereas “0” represents “failure” and comprises 50 randomly selected developments islandwide that were never put up for collective sale. Tenure (freehold versus leasehold) and location (whether the property is located in the Central Region or Non-Central Region) were statistically insignificant at 5% level. Balmoral Point is a freehold apartment completed in 1974. Properties in the Balmoral Road area have been well sought after for collective sales. Balmoral Point is adjacent to Ventuno Balmoral, formerly 21 Balmoral Road. Chip Eng Seng bought the site in 2005 for $19.5 million. 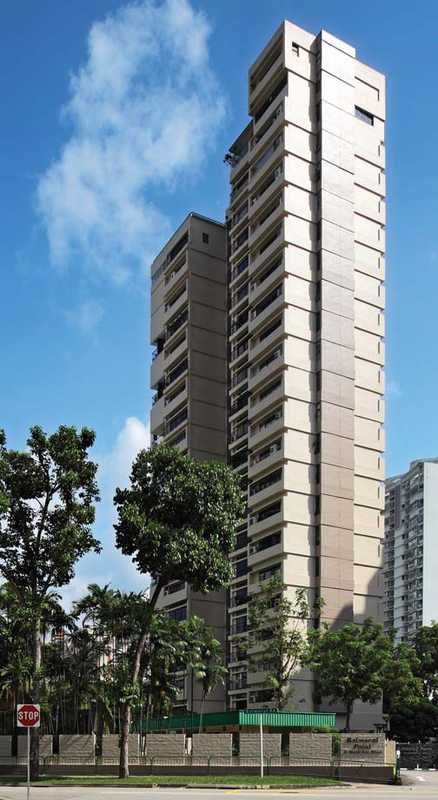 Other notable collective sale deals in the vicinity include Balmoral View, One Balmoral and Balmoral Condominium, which were redeveloped into Sui Generis, One Balmoral and Goodwood Grand condominiums respectively.